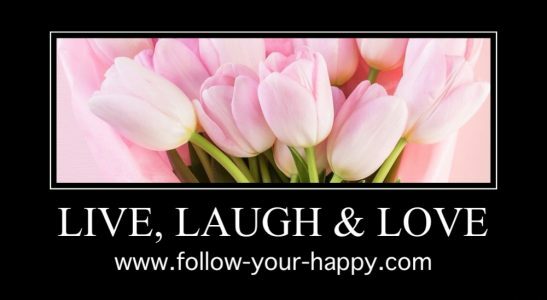 LivinNJesus – Page 2 – Follow your happy! I am a mother of 5! I have 2 children in Heaven & 3 living daughters! Dustin was born 4-15-89 & died 8-25-89! Allison was born 9-4-91 & died 3-20-17! I will write about them & how my journey has been since my son died! Come to my board on Pinterest and see the products I added that help with sleep safety in the first year of a baby’s life. YouTube videos I made of Allison! In the beginning, everyone was coming to see Dustin. We had bows and banners on our front door and mailbox proclaiming it’s a boy! The women of my church, whom also some were close friends, gave Dustin a big wonderful baby shower. He got so many outfits!! It was wonderful and so much joy in my life. A wonderful family….two girls and a boy. A good marriage, not perfect but good. I started to video everything. The tape started out with his ultrasounds and I kept adding. That video was a treasure. Ila his older sister went to Orlando for the summer to visit with her dad’s family. His sister Paige, she was 2 years old, though he was also a baby doll and not just her brother. I would let her change his diaper and give him his bottle (I breastfed for the first 2 months). She assisted him in his swing and oh she was in Heaven when she pushed him in his stroller. I let her practice on her brother. She was having fun. The first couple of months I was breastfeeding Dustin and had him to myself the most. Sisters Ila and Paige loved holding him and being mamma’s little aides. His sleep schedule was from 6pm to 6am the next morning. When he woke up I picked him up from the crib and would walk to the mirror on the dresser. Then just kiss his cheek over and over telling him I loved him. Then I would put his cheek to mine and get him to look at himself in the mirror. Precious moments every morning. I was a Sunday school teacher at a small country church, for jr.high teens. I was close to them and the girls would come and spend the night on Saturday nights and we would get up and go to church together. The boys came during the day and we gained up and had good times. They blended in as a family too! Life was great….. When the summer started every year in June, Ila went to Orlando to spend the summer with her dad’s family. She left and only got to spend two months of Dustin’s life with him…..
My children, husband & I had joy in our home! Oldest sister Ila was spending time in Orlando with her grandma, aunt, and uncle for the summer. She was getting spoiled there. Uncle James really loves his niece, Ila, and doted on her. Butch, Paige and I were going about our life with Dustin. I would video every chance I had. The teens would come over on the weekend and we would video with them too. Dustin was becoming a mommy’s boy too! Really, probably more so he became his sister Paige’s baby doll. Paige wanted to do everything. I would video her playing baby doll with Dustin too. She loved pushing him in his stroller when we were outside. She was really a help outside because I lay in the sun to get a tan. Life was great. I was 27 years old and my husband just turned 30. He had a good job and I was able to be a stay at home mom. That’s the best blessing for a mom, and also for the family. The summer was great! Now it’s time to go get Ila from Orlando and bring her back home. The day before we had to go was August 24, 1989. This was a day with Dustin. Just he and I went to the grocery store. He would not stay in his seat while I shopped. He insisted that I hold him and carry him while I shopped. Of course, mommy held him so he wouldn’t cry or fuss. He would try to kiss my face a lot. On the drive home, he cried the whole time in his car seat. When I got to the dirt road to Griffin Lakes where I lived, I stopped the car and took him out of his seat and held him up on my chest while I drove the short distance to my house. Dustin stopped crying when I held him. He kept trying to kiss me on my face again and it was so sweet. We started the day out as usual. I picked Dustin up from his crib, went to the mirror and I kissed and kissed on his checks. Then again, I pressed my cheek against him and we just looked in the mirror at each other. He smiled and I kept saying I love you, of course I told him how handsome he was. We packed the car, Dustin and Paige were in the car seat in front with me, and dad had the back seat to himself. (I know I know that wasn’t safe to have both car seats up front, back in 89 we didn’t worry too much of these kinds of things.) We left Guyton, Griffin Lakes, GA and made it to Orlando, FL in 6 hours. Our first stop was at Uncle James salon that he owned outside of Orlando. We were so happy to see Ila. Her Aunt Denise was there too. A mutual friend of Denise, Sherry was there also. Everyone cooed over Dustin. He got lots of hugs and kisses. Ila was so beautiful, 7 years old. Uncle James permed her hair and it was perfect! We went to the back of the salon where there was like a studio apartment. Ila got to help feed and change Dustin. He was so bubbly and happy. We had fun, and Paige did sit back and let Ila play with her baby doll. Then it was time to get ready to go to Kissimmee and stay with friends, Steve & Monie that we knew since we lived in Orlando before moving to GA. We always stayed with them when we went to pick Ila up in the summers. Uncle James would always buy Ila school clothes when she visited him every summer. She always got a new hairdo too. When I lived in Orlando after my separation/divorce from his brother and until I remarried Butch, Uncle James helped me too. I paid all my bills; he would buy me clothes and helped co-sign for a car too. I even got my hair done by him too. We were getting in the car. I put Dustin and Paige in their car seats, this time they were in the back and dad was going to drive. Ila was getting ready to go with us too and Uncle James said no. His reason was that it was going to be his last night, Friday, to see her for basically another year. Ila wanted to go with us. Uncle James wouldn’t budge. And I was the mommy. The power of Uncle James providing for us overtook me, and I was weak up against what he wanted. This is complicated to explain with family issues, but the moms who have been up against this understand what I’m about to say. I guess I had that feeling that I “owed” him and I had to do what he wanted. I wanted Ila to go with us, Ila was pleading with me to go. But, he wanted her to stay one more night up against the next year. Let me make another excuse: I’m a Libra and we are the scales of justice, balance, and fairness. I felt powerless to do what I wanted with my child, and I wanted her with me too! I cowered to Uncle James. Money has power doesn’t it?!! Ila stood there with her pleading face. I looked into those “please mommy” eyes. Looking back…for the first 7 years of her life, I don’t think I made a mistake that would scar her before this moment. My heart hurt looking into her eyes because I was cowering to the power of money. In reality, just being mommy had more power. It took a long time and more mistakes to realize the reality of this. It’s like I left her standing there, well I did leave her standing there. Thinking I made a fair choice for one last night up against another year. And after all, Ila will have her brother all the time once we leave the weekend and head back to GA. Of course, this decision wasn’t so bad when I took it all for granted. My husband and I, along with Paige and Dustin load up in the car and head to Kissimmee to stay the weekend with our old Florida friends Steve and Monie. We always stayed with them when we came to Orlando to get Ila in the summer. On the way, it was pouring down the usual Florida afternoon thundershowers. On the way, I looked back at Paige and Dustin in their car seats. I noticed Dustin’s passy fell out of his mouth. For a minute I got distracted and when I turned around to put it in his mouth he already put it back in. That was a first. Small little thing a mommy notices. We arrived at Steve and Monie’s around 4pm. We got unloaded and were so glad to see each other. We got settled in and started our visit. Dustin always slept from 6pm to 6am like his sister Ila always did too. At 6pm I took him to the spare bedroom we always stayed in. It was Monie’s daughter’s room, but she was over 18 and was barely home. When I went to put Dustin to sleep, Butch, Steve, and Paige went to the store. I lay down with Dustin on the all familiar twin bed on a box spring with no rails up against the wall. It wasn’t high up off the floor. Paige had also slept on the bed when she was a newborn in a prior visit a couple of summers before. As I lay down with Dustin I rubbed his back like I always did. I even ran my finger across his forehead, nose, and cheeks to make him feel good. He started drifting off to sleep. When I thought he was asleep I eased my way off the bed in little steps. First I stopped rubbing him. He did not budge. Then I moved my body away from him, he did not budge. Then I stood up off the bed, he did not budge. I stood there a minute watching him and knew he was asleep. His head was positioned towards the wall. No blankets and no pillows. I was sure my baby was safely sound asleep…..
On August 25, 1989, I was two weeks away from six years of being a Christian. I was also two months away from turning 28 years old. I think the greatest accomplishment is my life was becoming a Christian. I’ve always been authentic with God, He sees all and knows all, and I knew I didn’t have to pretend or hide from Him. I have had a struggle in my life with God that had me on a roller coaster with Him. Sometimes I was what I thought to be a perfect Christian, then sometimes not. I knew God was always there and we weren’t giving up on each other. After I put Dustin to sleep I went back to the living room. Steve and Monie lived in a single wide trailer. The living room was near the bedroom Dustin was sleeping in. Steve, Butch, and Paige left to go to the store. I stayed in the living room talking with Monie. Steve had a massive collection of classic rock albums. They were all on the floor lined up in several rolls against the wall. I was looking through them. After I became a Christian I realized the devil was real. He was out to kill, steal and destroy me and I didn’t take it seriously. I learned quickly about the classic rock I loved so much since I was a teenager. Some of the bands were satanic. I learned how to recognize them. I could see a lot through the album covers. I had my video camera with me. Since I was teaching teens in Sunday school I thought it would be interesting to video some of the album covers with satanic overtones to show the teens. Monie watched with amazement. Monie’s 18-year-old daughter came home to get a few things. We were staying in her room for the weekend. She briefly spoke with us and we told her to be quiet when she went into her room because the baby was asleep. She came out a couple of minutes later. By this time it had been 20 minutes since I put Dustin to sleep. Steve and Butch had also just come back from the store. Monie’s daughter came out of the room and asked where the baby was. I hurried to the room wondering why she asked that. I looked on the bed and didn’t see Dustin. The bed looked like it had been neatly made, and that was very strange to me. I pulled back the throw blanket that I never put over him or around him. There was Dustin stuck between the bed and the wall. His feet were down towards the floor. It looked as though the bed and wall were holding Dustin up at his chest. His head was slumped over like he was asleep. His body was facing towards the top of the bed. I quickly picked him up and he didn’t move. I screamed for Butch…..and God. Butch took him from me and ran to the living room couch. Butch and Steve started CPR. Paige stood looking at her brother. Monie called 911. I ran out to the back porch. On the porch, I looked up at the sky and started making deals with God as I pleaded for my son’s life. I want to be totally authentic here, but I have to follow the Christian rules so I won’t be judged. I promised God if He saved Dustin I would never ***** *** again!! I promised I would be perfect. I promised I would never commit another sin. I was pleading and crying. I was full of fear and scared to death. I thought my deals with God would work, so I walked back in the trailer and they were still doing CPR. I saw his lips looked blue. Paige was watching, but I was dealing with God and that was where my mind was. I then went out the front door and walked the neighborhood street back and forth in front of the trailer praying and crying to God. I didn’t care who was looking at me. This time I begged, “Jesus you raised Lazarus from the dead and if Dustin is dead I know You can bring him back. Please, Jesus, bring him back. I know You can. Please, Jesus just like you did with Lazarus. Please, please, God!” I was sobbing uncontrollably. The EMS arrived. I was still pleading and begging God! As I walked towards the trailer and the EMS man was walking out with Dustin. His head was in the palm of his hand and his body lying on his arm while his arms and legs hung down. He looked lifeless. I turned my head and couldn’t look. The next thing I knew we were in our car and Steve was driving with Butch up front. I was in the middle of the back seat. We followed closely behind the ambulance. I looked at the back doors and knew my son was in there wondering what was going on. I stopped crying and pleading with God and just stared at the ambulance doors. I was quiet and couldn’t say a thing. All I could feel was a terrible awful feeling I cannot describe. Scared, so scared. God wasn’t even listening to me. He was punishing me for not obeying all His rules. It was all my fault. I was a bad mom. I was a bad Christian. I was a bad Sunday school teacher. I was bad. I had to be terribly bad for my baby to be dying…….